Vision – Dr. Christina P. Lynch, Psy.D. This website promotes a vision with a Catholic approach to psychotherapy in which a mental health professional, views his/her profession as a vocation, guided by Catholic ethical principles. Psychology that integrates a Catholic anthropology encompasses a full understanding of the person; physical, intellectual, human and spiritual (understanding that the spiritual life is the center around which all other aspects are integrated, [Program for Priestly Formation 115]). In order to help the person become free to receive God’s healing graces, this vision utilizes a Catholic understanding of the person, and of human flourishing, in order to assess problems and to plan and implement therapeutic interventions. 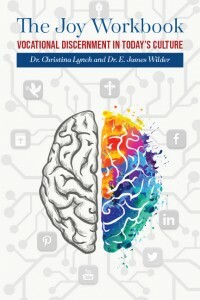 In living this vision, Dr. Christina Lynch continues to follow her passion by providing consultative and educational resources to create a working “tool box” for Bishops; priests; deacons; seminarians and other administrators and personnel who serve in seminary formation.